I’m a whiskey girl, and I love a good Old Fashioned. 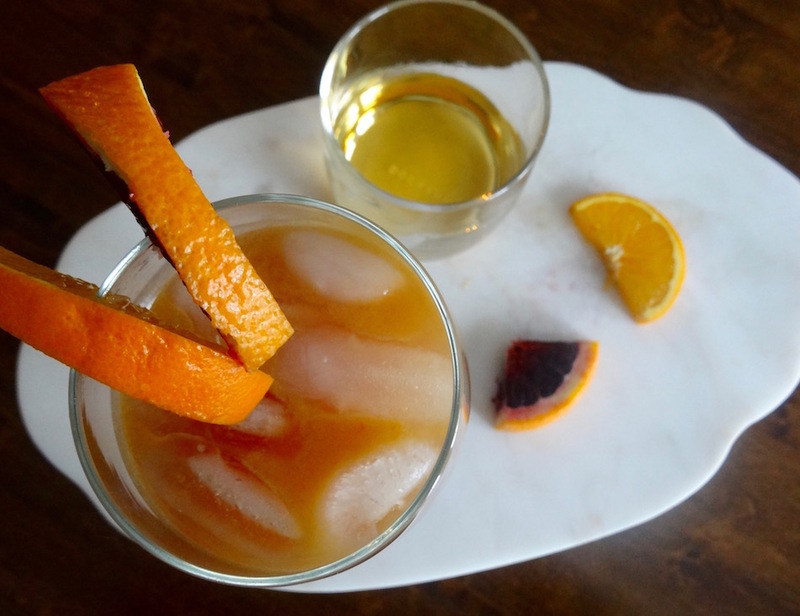 If you’ve never had one, an Old Fashioned is a classic cocktail made with whiskey, bitters, a sugar cube and orange rind or slice. They’re oddly refreshing and a well-made Old Fashioned is well worth the money (they can be a bit pricey). But sometimes I wish they were a bit more drinkable, at least in large quantities, like for a party. How do you make a drink more drinkable? 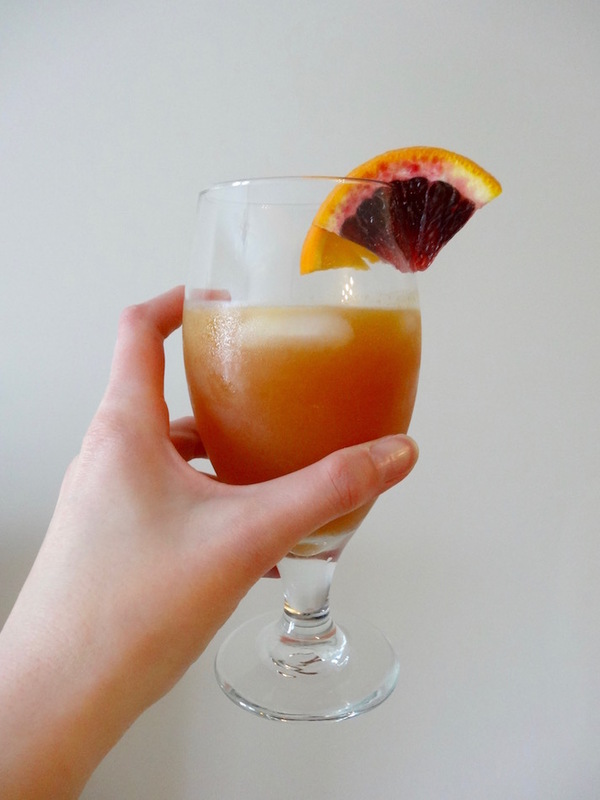 I made it into an Old Fashioned Punch! Old Fashioneds are also surprisingly versatile. One of my favorite restaurants/bars in Chattanooga makes a watermelon Old Fashioned in the summer, and y’all, it’s probably one of my favorite cocktails in town. And now I want one. I recently went camping with a friend and wanted to take along a fun drink, in addition to beer (I can only drink so much beer before I want something less hoppy). Punches are usually easy to make in large quantities, and you can make punch out of pretty much anything. So I thought to myself, why not find a way to punch up my favorite whiskey cocktail? And that’s exactly what I did. I pretty much eyeballed the recipe the first time, but after that I tweaked it a bit to create what I’m sharing now. As with most drink and punch recipes, you can adjust based on your taste preferences. To make it in bigger quantities, just add more fizzy component (in this case, ginger ale). This recipe makes about a wine bottle’s worth of punch. You can easily double it to make more for larger parties. *I used a mix of regular navel oranges and a couple blood oranges, since they’re in season right now. Squeeze juice out of oranges to get 1 cup of juice. Pour cherry juice into orange juice, and pour that into the bottle or serving vessel. Add bourbon. Stir and then add ginger ale until the bottle or bowl is full. This may be my new favorite warm-weather drink. It’s super refreshing, and admittedly a bit dangerous. But like I said, it’s easy to mellow it out so you can enjoy it at your next tailgate or day party (or any occasion that requires a BYOB, for that matter). 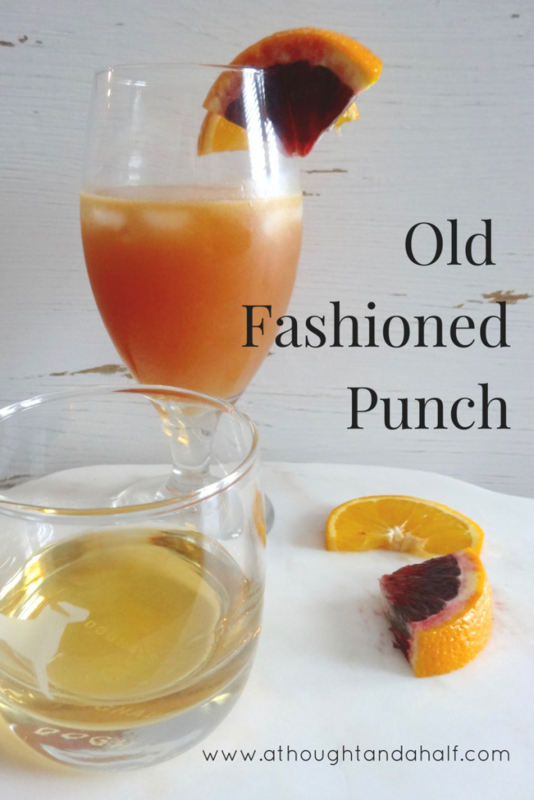 Cheers and enjoy a glass of this Old Fashioned Punch at your next gathering! And as always, please drink responsibly. What’s your favorite drink to share? Do you have a special punch recipe? Share it below so we can all give it a try!